This departmental promotional examination is being given to fill one vacancy in Information Systems Unit of Public Health Services (a division of the Health Care Services Agency), and to establish an eligible list which may be used to fill future vacancies. Resumes will not be accepted in lieu of an application. A completed application must be postmarked or received online by the final filing deadline. This position will assist management and act as a liaison to efficiently utilize automation resources and provide support to end users on personal computer, software applications, and other related office automation issues with an emphasis on development of training and data management. The ideal candidate will be a "super user" in various software applications and will be viewed as a resource in working with outside IT vendors and internal IT staff on software application enhancements.  Qualified applicants must be currently employed with a department of San Joaquin County Health Care Services Agency, which includes: Health Care Services, Behavioral Health Services, Public Health Services, Correctional Health Services, Emergency Medical Services, Veterans Services, and the Public Guardian/Conservator's Office. Please refer to Civil Service Rules and Regulations regarding eligibility for promotional examinations under the Selection Procedures section of this announcement. Becomes familiar with personal computer software currently used within a department in order to train users and assist staff with data management; learns how to efficiently utilize software in order to address specific data management needs or problems; learns new program capabilities and how to utilize new software. Develops personal computer training programs for departmental staff; writes and produces training manuals and other training tools; plans, schedules and conducts software and skills training sessions for staff, both individually and in groups. Assists staff with software-related data management issues; may maintain specific databases or files; may learn to import data from other sources using computer languages such as Qbasic, Structured Query Language and Visual Basic; may perform data queries and searches; may produce data reports; may develop and create databases or files. Helps staff to utilize appropriate software in order to design databases, electronic forms and/or other productivity tools; may help management staff evaluate hardware and software products; may recommend upgrades as needed; may assist staff in selecting and obtaining appropriate, cost-effective hardware and software. May install application software; may perform limited hardware or peripheral installations; may do routine troubleshooting of minor hardware or software problems; may advise management regarding basic maintenance issues or recommend solutions for minor problems. May act as a lead worker over subordinate staff. Education: Completion of 60 semester units of coursework at an accredited college with a major in computer science, mathematics, accounting, public or business administration, including at least 6 units in computer science. Experience: One year using office automation equipment and automated processes, including personal computers, which included responsibility for training users in the use of personal computers and/or computer automated processes. Substitution: Additional qualifying experience may be substituted for the required education on the basis of six months experience for one year of education. Special Requirement: Completion of certain course work or approved classes, or experience with specific operating systems, network operating systems or software programs may be required for assignment to specific departments. Basic principles of personal computer hardware and software; basic office automation systems; principles and practices of modern office procedures; methods and techniques of training and staff development; principles and practices of clear and effective writing, including grammar, spelling and punctuation. Learn and use a variety of personal computer software, including word processing, database and spreadsheet programs; learn programming languages and simple programming techniques; design and present training programs; develop and produce visual training materials; communicate effectively both orally and in writing; develop and maintain effective working relationships; follow oral and written instructions; research and evaluate office automation hardware and software; gather, analyze and organize information; train and direct subordinate staff as assigned. Mobility — Constant operation of keyboards; frequent sitting for long periods and walking; occasional pushing, pulling, bending, squatting and crawling; frequent driving; Lifting—frequently 30 pounds or less; Vision—constant use of good overall vision; frequent reading/close-up work; occasional color, depth, and peripheral vision; Dexterity—constant repetitive motion; frequent writing; occasional grasping, holding, reaching; Hearing/Talking—frequent talking/hearing in person and on the telephone; Emotional/Psychological—constant decision making and concentration; frequent public contact and working alone; occasional working nights and traveling; Environmental—frequent exposure to noise. 2. If a probationary employee in Classified Service, must have served twelve (12) continuous and consecutive months immediately prior to the final filing date. Qualifying service under this rule may have been in either the Classified service or in any combination of Classified Service and service under a public employment program. 3. Public employment program employees who have served at least twelve (12) continuous and consecutive months immediately prior to the final filing date are eligible to compete in promotional examinations for entry level classes or a class equivalent to their current public employment class. For the purpose if this rule, an entry level class is defined as the lowest class in each class series excluding classes designated as trainee classes in the class title. 4. Employees in the Classified Service who have six (6) continuous months’ service in trainee classes or entry level classes, as defined above, shall be eligible for promotional examinations to the next higher class in that same series. 5. Temporary, contract, or exempt employees who have at least six (6) months of full-time service with the County within the last twenty-four (24) months and are currently employed with the County immediately prior to the final filing date are eligible to compete in promotional exams for entry level or trainee classes. 6. Contract or exempt incumbents of positions which are converted to classified service are eligible to compete in promotional exams for the classes of positions which they occupy if they have served 2080 continuous and consecutive payroll hours (equivalent to one (1) year) in the same or related classes of positions as the promotional class immediately prior to the final filing date. 7. A Part-time employee who is actively employed (on payroll) and who has worked 2080 continuous and consecutive hours in a class that is above entry level may compete in promotional recruitment for that classification. C. Have a rating of satisfactory or better on the last performance evaluation, if applicable.